‘We must learn to live together as brothers or perish together as fools’. It is hard to get away from knowing that there was a ‘fatal incident’ in Florida. A neighborhood ‘volunteer watchman’ shot and killed a 17 year old ‘thug’ who happened to be cutting across a gated community to visit his girlfriend. Anytime a teenager is killed, it is heartbreaking. Anytime someone takes the ‘law’ into his own hands, it is sad. On the night of February 26th, George Zimmerman and Trayvon Martin collided and the horrific tragedy ensued. George killed Trayvon. What is even more tragic are the responses the American people have shown this case. The mainstream media is determined to try this case on TV without the benefit of what may or may not have occurred that fateful evening. 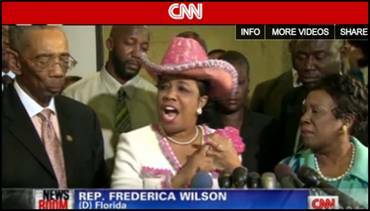 I was not there, everyone I know was not present and yet the calls to ‘kill or arrest’ Zimmerman have totally taken control of the situation. In America the rule of law has always prevailed and from the illegitimate calls to ‘kill or arrest’ Zimmerman you would think that we live in a lawless country. Florida has the ‘stand your ground’ law which permitted officers to decide whether to charge Zimmerman or not on the spot. A person can claim that he feared for his life and he stood his ground and met force with force. The only people who should decide the case are the Florida authorities. The family of Trayvon Martin deserves to know what actually happened to their son on the night of February 26. Justice and not vengeance should prevail. This ‘incident’ is much larger in scope than just a ‘fatal incident’. It has become a ‘racial’ crutch by the Left and it has been fueled by our very own president who deemed it necessary to ask Americans to “do some soul searching” and "If I had a son, he’d look like Trayvon.” This is not the only time that Obama has commented on a volatile racial situation. In July of 2009, a Harvard Professor Henry Gates, a friend of Obama’s, was arrested in his home for disorderly conduct and Obama made some comments about the arrest that occurred in Massachusetts. "Now, I don't know, not having been there and not seeing all the facts, what role race played in that but I think it's fair to say, number one, any of us would be pretty angry; number two, that the Cambridge police acted stupidly in arresting somebody when there was already proof that they were in their own home; and, number three, what I think we know separate and apart from this incident is that there's a long history in this country of African-Americans and Latinos being stopped by law enforcement disproportionately. That's just a fact." We mustn’t deny the fact that there is prejudice, but from the reactions on this incident, it is apparent that the black community is calling for more than just justice. Up until the time that Obama was elected as our first Black president, many of us believed that bigotry for the most part had died in America. And that electing a black president proved Americans had passed the ‘race’ test. Since the election of our historic black president, we have come to know otherwise. There is so much ‘hate’ directed at ‘white’ people by Obama and his administration as they continue to fan the flames of bigotry. Direct attacks by prominent black leaders like Congressman Bobbie Rush, Congresswoman Fredericka Wilson, Al Sharpton, Jesse Jackson, and comments by celebrities like Spike Lee and Oprah Winfrey not to mention the $10,000 the ‘New Black Panthers’ are offering for a citizen’s arrest, only make the situation more explosive. Taking black and white sides is not the answer. Black leaders reaffirming that black people are ‘victims’ of white society is counterproductive to the black community. If they were truly leaders, they should be leading their ‘victims’ to what Martin Luther King, Jr. said ‘We must learn to live together as brothers or perish together as fools’. White people are fighting back and are no longer willing to play the 'Forgive me I am white', 'Please forgive my ancestors for owning slaves’ game.' Instead, white people are asking the black community to take responsibility for its actions. 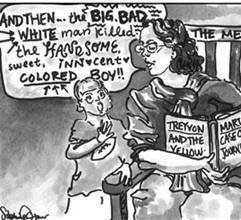 What If the ‘fatal incident’ had happened the other way around, Trayvon killing George? A student at the University of Texas, Stephanie Eisner, drew a cartoon of the Florida incident reflecting the racist’s situation and because of the nature of the cartoon has left the college newspaper, the Daily Texan. If we really want a dialogue to smooth relations between whites and blacks then the rules must apply to both. It is not difficult to forecast the future of racial violence. Remembering that Obama is first and foremost a ‘Community Organizer’, this act of race baiting is the perfect ruse to get us off the important issues, such as the direct assault on the 1st Amendment, the fact that ObamaCare must be repealed, stop the Uncontrolled Spending, and Unemployment. What a better way to ignite the blacks to come to the aid of a ‘black president’. He is uniting the black community because he is feeling the pinch. 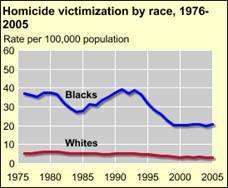 If he can keep the blacks stirred and angry and feeling like ‘victims’, he will get his ‘black’ vote in November. We must stay focused. 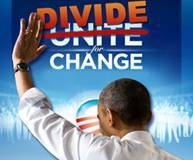 We must not let this ‘Community Organizer’ detract us from our goal, to elect a Republican for president. When you start the article with incorrect facts, you make it harder to take the rest of it seriously. First of all, the teen was in the community visiting his father, not a girlfriend. Secondly, why label him a thug? Simply because a person is young, black and male does not make him a fatherless thug. Is this how you see all that look like him, or are you just happy to parrot that attitude to pander to the worst of human nature? Thank you Californiagirl for setting them straight. Also they keep referring to Zimmerman as a block watch person, but he wasn't even on the block watch committee. 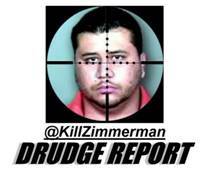 No one is asking to kill Zimmerman...we just want justice and an arrest made. We all know if the tables were turned an arrest would have been made that night. Also it's not a black/white issue, it's a right/wrong issue. Stop trying to make it a race issue it's not.Even though race plays a great part in the way this whole case has been handle thus far.